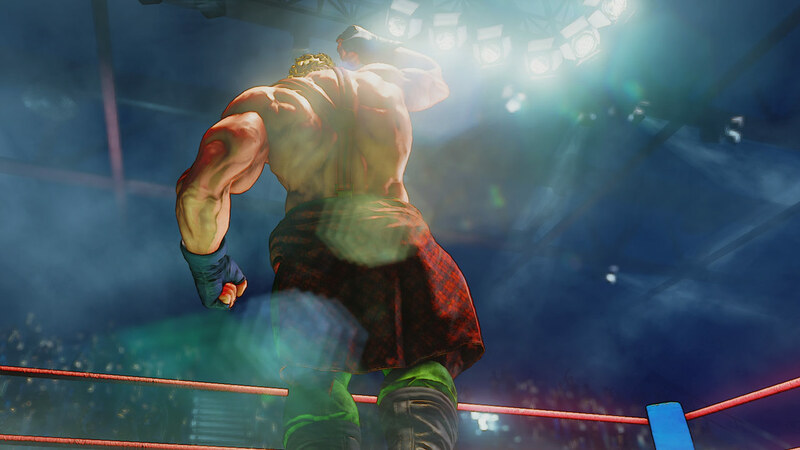 Street Fighter 5 debuts the franchise’s first cinematic story mode in June. Street Fighter 5 owners will finally get their hands on a full story mode this month. The Story Expansion is called A Shadow Falls and will release as free DLC. A Shadow Falls depicts the ultimate battle between the evil Shadaloo organization and the heroic World Warriors who rise up against them. Seven “Black Moons” are deployed by Shadaloo, granting M. Bison unimaginable power and enveloping the earth in total darkness. Seeing the moons mysteriously appear in the sky, Ryu, Ken, and Chun-Li embark on an epic journey around the world to retrieve fragment pieces that are the key to stopping the “Black Moons” before it’s too late. Along the way, they encounter the rest of the World Warriors, each of whom have their own agendas and motivations in mind. The final battle between good and evil begins now… who will RISE UP? All characters will be playable in A Shadow Falls including the DLC roster of Alex, Guile, Ibuki, Balrog, Urien and Juri. The last three will not be playable in other modes until their official release, as they have not been fully balanced yet. Capcom said to thing of them as free previews. Completing A Shadow Falls on normal difficulty will reward players with 30,000 Fight Money (Street Fighter 5’s currency) and unlocks Extra Mode. Completing Extra Mode is worth 50,000 FM. On the subject of currency, remember how Capcom was going to introduce a second currency called Zenny? It has changed its mind. Any purchases you want to make with real money rather than FM can be processed as normal through Steam or the PlayStation Store. None of that “I need 200 points and points only come in bundles of 150” nonsense. Hooray! The June update will also make all premium Battle Costumes so far available for purchase, where previously they had been exclusive to various offers and bonuses. You’ll also be able to buy Story mode costumes without competing each character’s story mode. Finally, Capcom is working on retooling Daily Challenges under the title Targets, giving you a way to earn more Fight Money. New single player modes including Extra Battle and Versus CPU are also in the works. Expect more info soon. Phew, what a marathon! Good to see Capcom making good on its promise to communicate more.